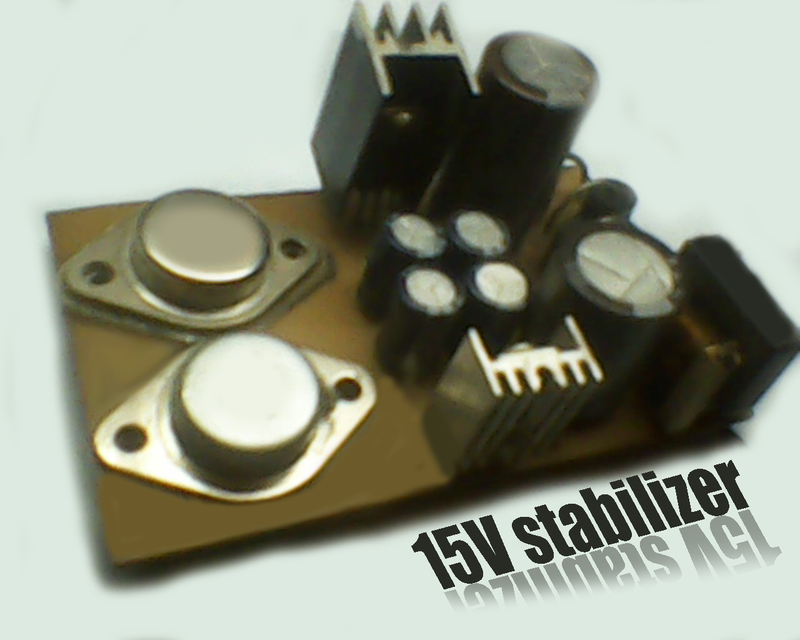 In this time I will share about the circuit voltage stablizer or stabilization using IC 7815 and 7915, with a minimum of 17.5V to 50V input. The output of this circuit will issue with the current 15V voltage in accordance with the input. Stabilizer is also equipped with reinforcement by transistor 2N3055 and MJ2955.